Survey Momma Reviews – Beware of The SCAM Redirects and Viruses! Unfortunately… online surveys don't provide that advantage. I want to be careful not accuse Survey Momma of being a scam, because there’s a possibility that they are legit… but their website may have been hacked because what should be links to legit survey sites, are actually redirecting you to scam sites. Here’s a quick video to show you what I mean (sorry there’s no sound). What you’ll see are legit survey opportunities linking to shady websites. In fact, one of them was flagged by my antivirus as you’ll see below. So… for all intents and purposes, Survey Momma is a scam that I can’t recommend. Whether they’re a legit site that someone has hijacked, or the parent company Next Fusion is fully aware of what’s going on here… I just don’t know. Is Survey Momma’s Parent Company Legit? I dug a little deeper to make sure I wasn’t misinformed. Is Survey Momma really owned by Next Fusion? 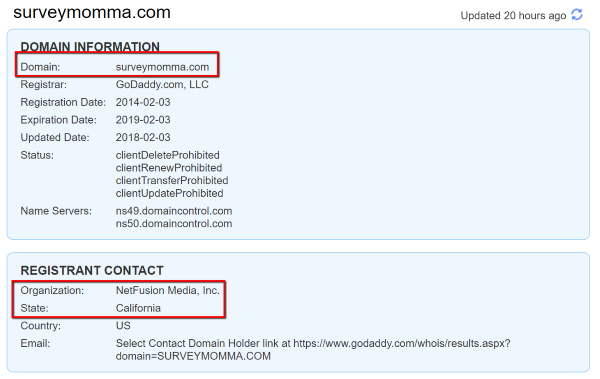 It appears to be so, as the domain name surveymomma.com is registered by the same Net Fusion Media Inc out of California. 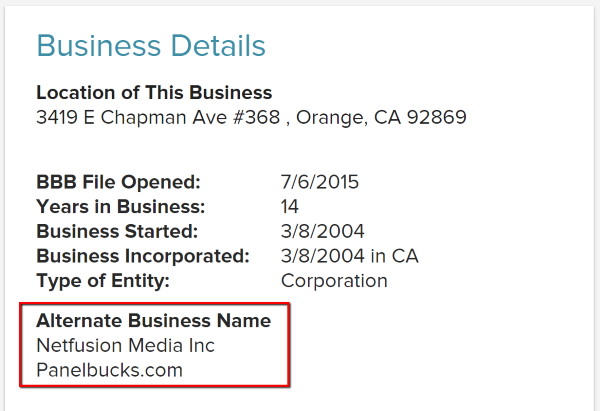 And… to further confirm the connection… Next Fusion Media also owns a similar website called Panel Bucks which has the same look and layout as Survey Momma. I was curious if Panel Bucks was having the same redirect problems as Survey Momma. The first few links I clicked on seemed to be legit, but my confidence was short lived as I clicked on one that was redirecting to the same suspicious site just as Survey Momma was. If it’s because of hacking... then both Survey Momma and Panel Bucks are both victims. In fact... one of those links sent me to a fake survey site that was made to appear as the real thing… indicating a phishing scam. A phishing scam is a fake website, email, or these days… a fake instant message that appears to be legit, but is actually a counterfeit version that steals your information such as usernames and passwords. The most common are emails from sites like PayPal, Apple or Amazon that claim there is a problem with your account, or asks you to confirm a purchase. For example… when you receive an Amazon email asking you to confirm a purchase you obviously didn’t make, your first instinct is to log into your account and see what’s going on. These emails though, contain a link that many assume will take them to their login. But, what they really do is take you to a fake Amazon website which is made to look like the real thing. Once there, you login into the fake website using your username and password… and that’s when the scammers get you. They steal your credentials and can now login into your REAL Amazon account, make purchases you’re not aware, and worse, steal all your information that Amazon has on file (which includes your address and credit cards). The same scam is done using your Bank, PayPal, and even your email account. Sites like Survey Momma (whether it’s hacked or a flat-out scam) can also redirect you to fake survey websites, which ask you to set up an account, answer profile questions and even connect your PayPal or bank account (claiming that’s how they’re going to pay you). It’s crazy how deceptive and cruel people can be. Despite the temptation of free cash and rewards, I just can’t recommend taking the risk with sites like these. Whenever you get an email asking you to log into your account… NEVER do it with the link they provide. In fact… if there is a link, that’s a good indication it’s a scam. Open a new browser window or tab, and make sure you go to the official website. If it’s Amazon for example… go to Amazon.com (or to your country’s domain extension) by manually typing it in. Legit companies like PayPal will never provide a link with their emails… they’ll instead just tell you to log into your account. It's supposed to be a survey site called e-Poll. 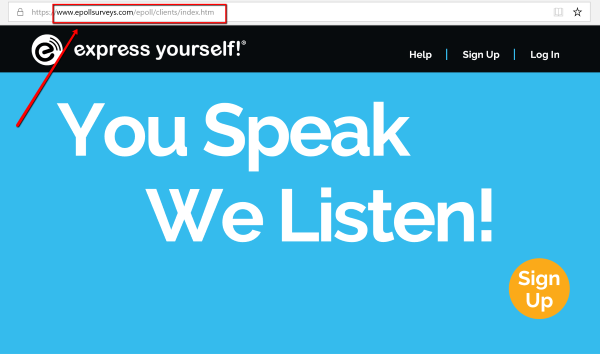 As you can see, although the site appears to be e-Poll... the website URL above is maxbounty.com. 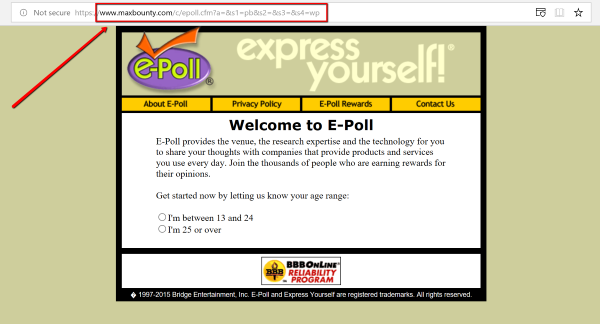 Below is the real e-Poll website, confirmed by the correct the URL epollsurveys.com. I'm not sure if the real e-Poll site (below) has recently undergone a redesign, or if the version above just didn't bother to match the look and design... but when it comes to phishing sites mimicking well-known brands like Apple, they will look very much the same. Whether you’ve landed on a site like this through Survey Momma or a legit site… you should always check to make sure the domain name is accurate. You can also check out my other tips to avoid scams. Another type of scam you’ll run into when you use sites like Survey Momma, are the free offer websites. There’s no way anyone is giving away a free $850 phone for simply filling out a questionnaire. In most cases, it’s a complete scam. They’ll take your address and credit card number “to cover shipping costs”, but instead of receiving a free phone, you’ll become the proud recipient of an unauthorized purchase billed to your credit card. Having said that, I have seen some legit offers… but there is still a catch. There’s such a huge risk here with these types of reward offers. There are actually not many reviews for Survey Momma. Unlike sites like Opinion Outpost and Vindale Research that get thousands of reviews, there just isn’t much information to share. From what I could find though, on blogs, social media and YouTube… users of Survey Momma are finding the same issues that I’ve found… and none of them recommend it either. Survey Momma’s parent company Next Fusion seems to be a legit company, so I’m really not sure what’s going on here. Either way, I don’t think it’s a good idea to be using Survey Momma to do online survey’s. 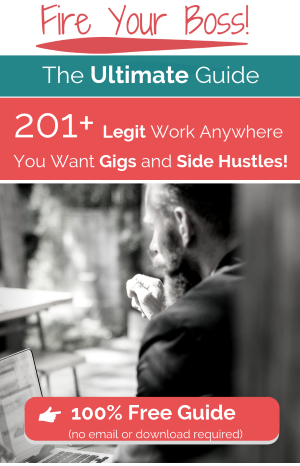 There are plenty of legit sites you can check out. As I mentioned above, I’m not a big fan of online surveys anyway because the pay is too low and there’s no passive income potential. 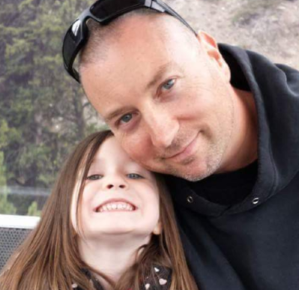 However, if you’ve never made money online before, surveys can be a simple way to get a taste… but my personal recommendation is to do something online that pays real money… something that might even replace your job income.